If E.T. Phones, Will We Hear? SETI Loses Key Funding Astronomers at the SETI Institute say California's budget crisis has forced the shutdown of the Allen Telescope Array, a powerful tool in the search for extraterrestrial intelligence. 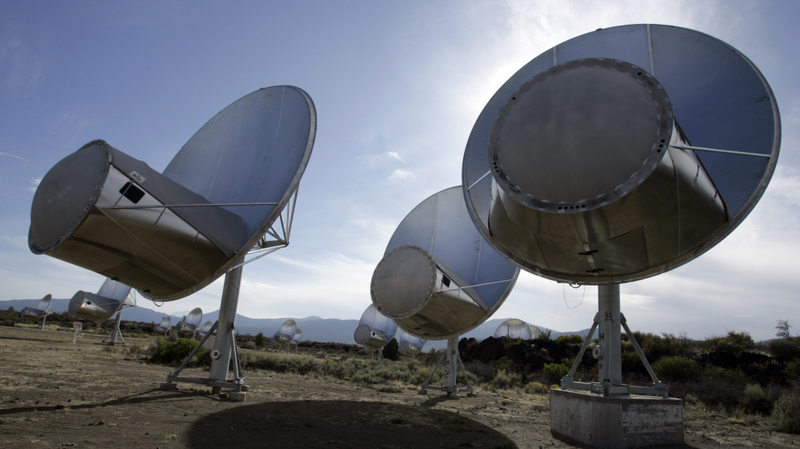 Radio telescopes of the Allen Telescope Array, seen here soon after their construction in 2007, gave SETI's search for intelligent alien life a big boost. Now the array, located in Hat Creek, Calif., has lost the funding it received from the California state government. For more than 50 years, scientists at the Search for Extraterrestrial Intelligence Institute — SETI — have been listening for communications from far-off planets. Now, funds are proving just as elusive as alien signals. 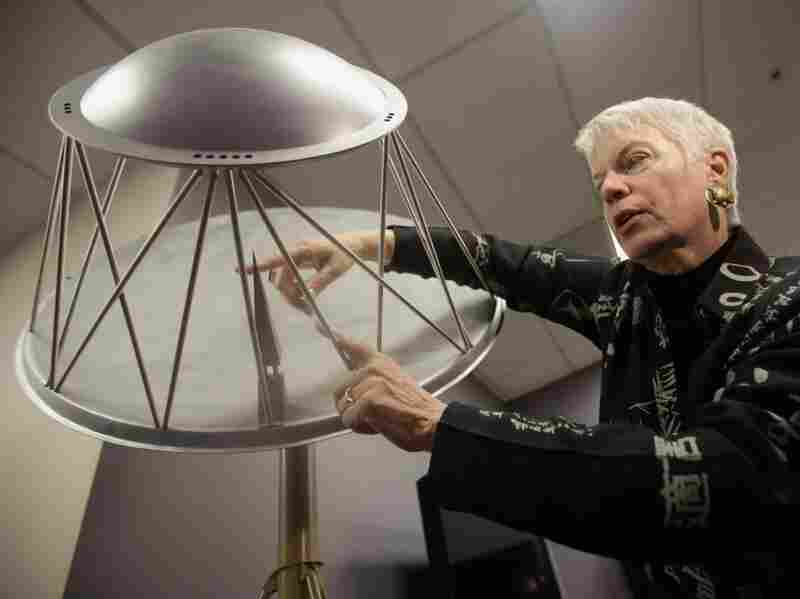 Jill Tarter, the director of SETI's research division in Mountain View, Calif., has spent more than 40 years looking to the stars. Tartar served as the model for Ellie Arroway, a character (played by actress Jodie Foster) in the movie Contact who picks up the unmistakable signature of extraterrestrial intelligence over her headphones. In real life, of course, the search has been a lot quieter. "I don't know whether anyone ever will find a signal," says Tarter, who is now in her 60s. "I certainly don't know whether I will." Back when Tarter started at the SETI Institute, the project received funding from NASA, but that support ended in 1993. Since then, she and others have spent almost as much time searching for money as they have searching for ET. Then, three years ago, SETI marked what felt like a turning point: the opening of the Allen Telescope Array, a field of 20-foot-wide radio telescopes in California's rural Hat Creek Valley funded by Microsoft co-founder Paul Allen. Thanks to the Allen Telescope Array, which is jointly managed with the University of California, Berkeley, SETI Institute scientists could scan the skies full time, hoping a clear, telltale radio signal would stand out from the universe's background hiss. "We're looking for signals that are compressed in frequency, because nature doesn't do that — technology does," Tarter explains. To understand SETI, you have to understand that humans are a very young species on a very young planet. And we've only had modern technology for the last couple hundred years. Tarter says that's a cosmic blip. "Our galaxy is 10 billion years old, and most of the stars in our region of the galaxy are about a billion years older than our sun," she says. In this broader scope of cosmic time, we humans are practically newborns. "We don't know if there are other technologies than ours out there," Tarter says. "But if there are, we can be pretty sure they're older and more capable than we are." Capable, she hopes, of beaming high-power radio waves that our telescopes could eventually pick up. But this is a long shot — perhaps the longest long shot in science. "All of those arguments ultimately rest on big assumptions that tend to be very humanistic," says Caleb Scharf, director of Astrobiology at Columbia University. For instance, assumptions that another civilization would use radio signals at all, or would have any interest in finding us. And then there's there problem of timing. "Even if there are many, many technological civilizations in our galaxy, the chances of one of them [broadcasting a loud enough radio signal] right at this instance, right at the time that we have the right technology to listen to it — the odds seem to shrink a lot," Scharf says. Recently, those odds got a modest boost when NASA's Kepler Telescope found signs of what it was looking for: dozens of possible planets that might be similar to Earth, orbiting distant stars like our sun. This is our only shot to listen for such signals, and when the array is down, we are blind and we are deaf. "Some of these are potentially habitable planets," says Dimitar Sasselov, who directs Harvard's Origins of Life Initiative and is on the Kepler team. He says Kepler has given SETI something it never had before: targets. "This is where we should be looking for the signals coming from other civilizations to start with," Sasselov says. "SETI is already in possession of this list." But as of April, that list has been filed away indefinitely. That's because California's budget is in crisis. Facing a $26 billion deficit, the state has made major cuts across the public university system. UC Berkeley says it can no longer afford to operate the Allen Array. The project is officially in "hibernation." Tarter says she is frustrated by the holdup. "Never before have we known such good potential targets at which to point our telescopes," she says. "And that's what we want to do." Tarter wants to raise $5 million in private money to search the Kepler planets. Columbia astrobiologist Scharf says he thinks that's a bargain. Sure, SETI's a long shot, but science needs long shots. "I think that too often in modern science, we kind of narrow down the vision — what we want to look at — a little too much," Scharf says. SETI, on the other hand, swings for the fences. The money may never pay off, Scharf says, but we'll never know unless we try. "To me, the best argument for SETI is simply that we do not know," he says. "The only real solution is to look, and to look in as broad a way as you can." Tarter, for her part, says she knows she probably won't find ET in her lifetime. Finding SETI a reliable source of funding? That would be achievement enough.